"Heroes are made by the times." This is my first ever glimpse of Rodia (like Greedo the Rodian's home planet). 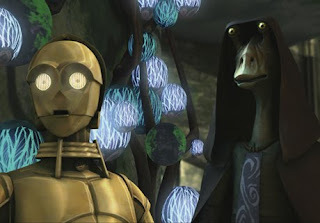 Jar Jar Binks is still the stupidest character in the Star Wars universe. Ever.